Work is underway on a study to develop design alternatives for the realignment of Orchard Street for the Ada County Highway District (ACHD) in Boise, Idaho. After the completion of the study, B&N will then be tasked with the final design of the realignment under the same contract. 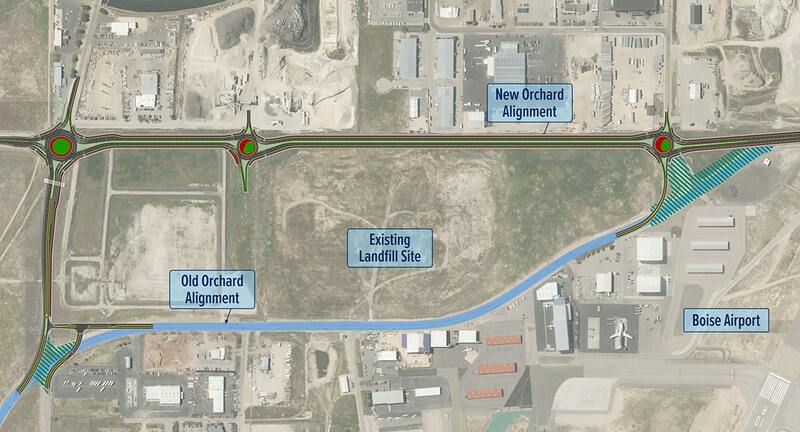 As the project lead, B&N will examine options for moving Orchard Street to the western limits of a land parcel owned by the Boise Airport while establishing it as a Mobility Arterial that will support vehicular, bicycle and pedestrian traffic. Because the realignment is adjacent to a landfill, significant environmental work is also required in conjunction with the development of design alternatives. B&N is leading a stakeholder and public involvement process that will seek to gain consensus among local agency representatives and property owners on the best plan for the realignment.